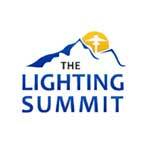 The Lighting Summit for landscape lighting professionals will be held Jan. 17-18, 2018 at the Marriott Downtown in Omaha, Neb. During the fifth annual event, attendees can expect an agenda with topics geared toward improving business efficiencies, a tour of the McKay Landscape Lighting facilities, an evening project walk-through and peer networking opportunities. Attendance is limited to one business per geographic area to create a noncompetitive environment geared for learning and collaborating. Registration is $1,599 per attendee. To learn more, visit the event site.